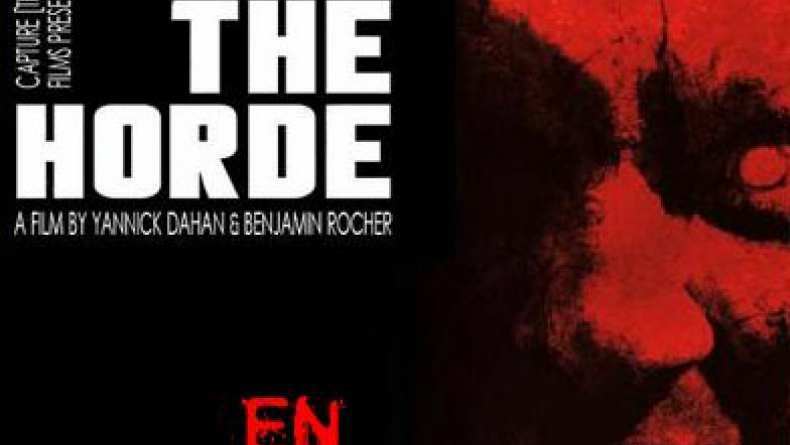 A second international trailer for The Horde. From executive producer Xavier Gens comes another major shock to the action horror system. In order to avenge the murder of one of their own by a group of ruthless gangsters, four corrupt Paris cops go on a rampage in a condemned building serving as the mobster's hideout. Trapped by their prey, the officers are about to be executed when the unimaginable occurs. Hordes of rage-fueled zombies suddenly invade the building, savagely attacking everyone and leaving no prisoners. But some unexpected alliances are made when the cops’ lives are threatened by the totally unthinkable. Let the End of Days battle begin between cops, gangsters and the Living Dead in a world with no future.